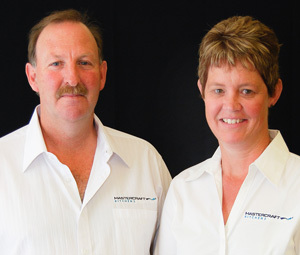 Mastercraft Kitchens Gisborne is owned and operated by Dale and Vicki Summerfield, of Summerfield Joinery. Dale and Vicki have owned and operated their business for the past 20 years in Gisborne, with their dedicated team of 5 staff. Dale is a qualified Joiner, while Vicki oversees all aspects of the business administration. Other types of cabinetry and joinery. Get in touch with us if you are embarking on a new build, home renovation or if you are wanting custom stairs or cabinetry. We pride ourselves on our friendly service, great advice, personal service and of course our high quality results! Hicks Bay, Ruatoria, Tokomaru Bay, Tologa Bay, Morere, Mahia, Frasertown, Wairoa, Ruakituri, Nagtapa, Te Karaka, Matawai, Whatatutu, Motu, Putere and surrounding areas. Photo credit: The kitchens on this page have been created by Mastercraft Kitchens Gisborne. Thank you to our fabulous clients who invited us into their home to photograph their dream kitchens. Photography by Jamie Cobel.